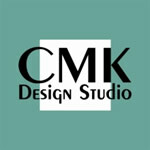 Cara Castle is a licensed and LEED accredited Interior Designer and owner of CMK Design Studio, Inc., located in St. Petersburg, Florida. Cara brings over 20 years of expertise in the field of interior design and has extensive experience with programming, space planning, design development, permit and construction document preparation, full service design including finish, fixture and equipment specifications, project management and construction administration. She has produced a wide range and variety of corporate, multi-family, educational and public sector projects. Her client list includes Smith & Nephew, Osprey Real Estate Management, Pointe Group Advisors, Abbey Adams Law Firm, Smith & Nephew, 55 West condominiums and Clarifire. Cara has worked on a variety of public sector projects also, and has utilized her skills developing space standards, programming, space planning and complete finish selections. She has successfully completed projects for CENTCOM at MacDill Air Force Base, which included the design of the JIOC room and adjacent conference room, as well as a 40,000 sf LEED silver project for the Veteran's Administration. As a licensed interior designer, Cara has a complete understanding of project development and the design process and works as a team member to achieve a creatively inspired, seamless project experience for the client. Marcos Ibargüen is a licensed architect with nearly 30 years of experience in a wide range of project types. 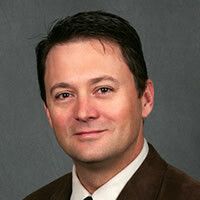 He is NCARB certified and LEED accredited, and has been a partner at CMK Design Studio since June of 2012. Marcos has served as a project designer, project architect and project manager on a broad spectrum of projects ranging from small to large scopes. His preferred approach is to carry projects from the earliest stages of feasibility and entitlement work all the way through construction administration and close-out, providing his clients with enhanced outcomes through continuity and historical understanding of each project. He has designed and managed projects including churches, office buildings, theme park work, industrial buildings and multifamily residential projects ranging from HUD 202 elderly housing to high-rise luxury condominiums. He also has extensive experience with the administrative aspects of the profession, having served as managing partner of a 19-person firm for nearly ten years. His client list includes Waste Management, Raymond James, Ceridian, Disney, Achieva, Greyhound Lines, and the LDS Church. Marcos prides himself on developing strong and lasting client relationships through personal attention to each client's unique requirements from a corporate and project-by-project standpoint. Holli has 17 years of experience in designing corporate office space ranging from space planning to full service interior design. 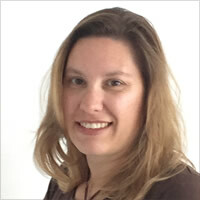 During this time she has been the project manager providing all architectural and design coordination for several high-rise & mid-rise buildings throughout the Tampa Bay area, including The Urban Centre, The Suntrust Building, Bank of America Plaza, Two Harbour Place, The Quadrant Buildings I & II and Independence Park. She has been the project manager for building renovations including ADA upgrades to complete renovation and reuse of buildings. Holli also has extensive experience working directly for corporations to provide all the design phases involved in building out corporate space. Some of her corporate projects were Microlumen, Schifino Lee Advertising & Marketing, TAMCO, MMA Financial, Brown & Brown, MITRE Corporation, Booz Allen Hamilton, and Miller Brewing Corporation to name a few. 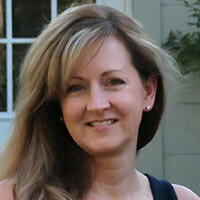 Holli graduated from Florida State University with a Bachelor of Art in Interior Design in 1995. 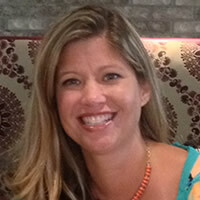 She became NCIDQ qualified in April 1998 and is a Licensed Interior Designer, FL ID #5382. Vicki has 17 years of experience in interior design ranging from furniture specifications to construction administration to space management. Early on, she provided furniture specifications and management for the City of St Petersburg, Hillsborough County Government, and Scarritt Lincoln-Mercury. Vicki managed and produced documents for several tenant interior renovations in Wachovia Center for USAA Realty Company, Tampa, FL. Clients included: Phelps Dunbar, Bush Graziano, USAA Counsel Group, Document Technologies, and Scarborough, Hill &amp; Rugh. Vicki has been Project Designer and Manager for several Bank of America Global Wealth and Investment Management locations, most notably in Belleair Bluffs, Florida, where she managed and produced a 8,500 SF full-floor interior renovation and the addition of a new exterior two-stop elevator. She has performed space management and CAFM Services for ETRADE Financial Corporation, CISCO, Toyota Financial Services and Bed Bath and Beyond. Most recently, she has provided ADA upgrade services (field verification through construction document production) for numerous Bank of America Financial Centers. Vicki graduated from the University of Florida with a Bachelor of Design in Interior Design in 1999. She became NCIDQ certified in 2003.